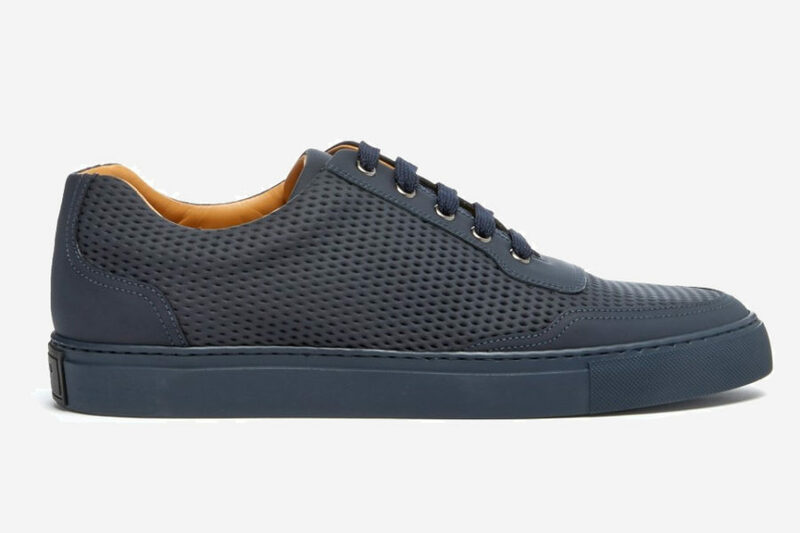 There are few shoe brands as shamelessly steeped in science as Harrys of London. Where other brands seem to relish the rustic way in which they craft their footwear – thick sole-stitching needles, heavy leather cutting shears and a general air of traditionalism pushed to the fore – this London-based brand is looking to the future. 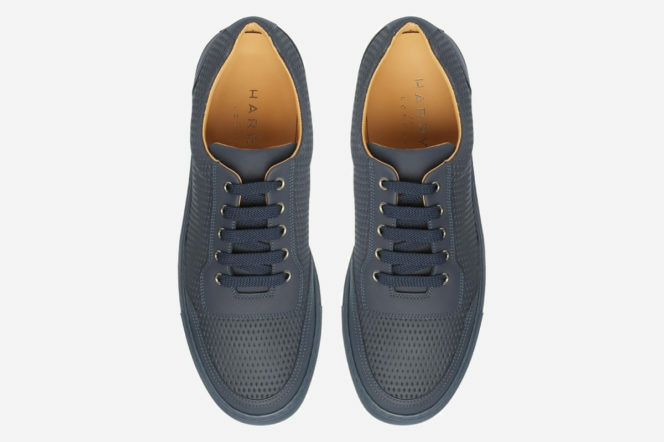 Influenced by technology and innovation, and made in Europe to meticulous and exacting standards, Harrys of London, in collaboration with Technogel®, has developed a full gel innersole that offers excellent cushioning and a new kind of comfort, soft, stable and functional. And, for the first time from Autumn/Winter ’17, all of the brands footwear will feature Harrys innovative 3D Technogel®, the orange innersole designed to fit all the sneaker family. 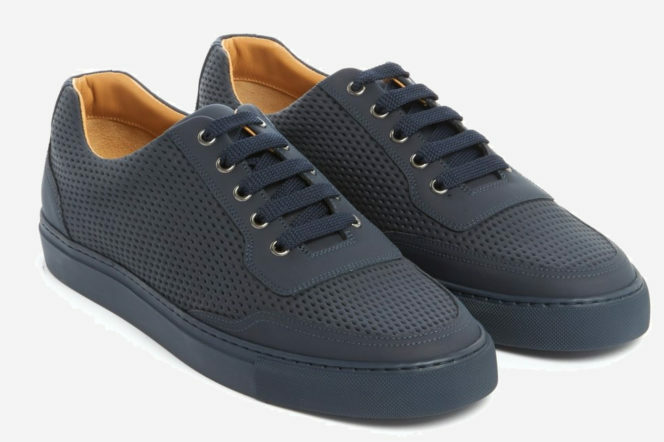 The original Jones Sneaker – one of Harrys of London’s classic and signature styles – has been a stalwart of the range almost since Harrys inception. This year, the brand has given the shoe a Tech Mesh refresh, imbuing it with even more technology to create a softer step and more comfortable shoe. Crafted with premium tech leather than has been printed on for a mesh effect, the sneaker has been reborn – at once iconic and fresh. The aforementioned innovative 3D Technogel® sole also makes an appearance, but all of this thought inside the shoe is tempered by minimal branding and clean lines on the outside – making for a sophisticated pair of sneakers.